Sunderman Spotlight: John Glennon | The Gettysburgian. 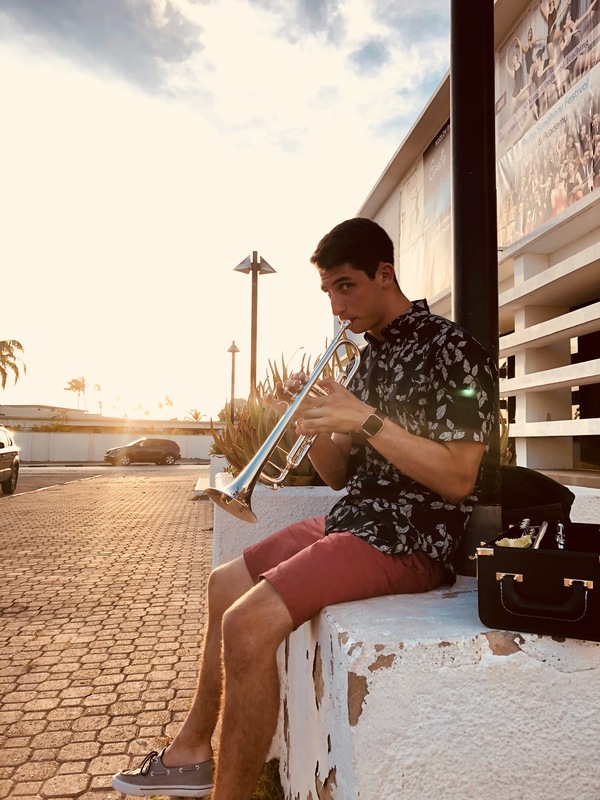 Bachelor of Music with a focus in Trumpet Performance. My primary instrument is the trumpet but I have been studying voice under Dr. Susan Hochmiller for nearly a year. What has been the most important part of your conservatory experience? The Sunderman Conservatory has extraordinary faculty. They do a remarkable job encouraging their students to pursue individualized musical aspirations not only through their words, but through inspirational musicianship as well. How will your time here have an influence on your career in music? I have had the privilege to play with the Jazz Ensemble, Jazz Dispatch, Wind Symphony, Symphony Orchestra, and various chamber ensembles including a faculty chamber ensemble that accompanied the choir. Participating in these fantastic ensembles has allowed me to think critically as to what style of playing I could see myself pursuing a career in. Fortunately, I am lucky enough to have been offered two wonderful opportunities that I am currently deciding between. One is pursuing a Masters in Arts and Teaching at the Longy School of Music in Los Angeles. The other is accepting a renewable six month contract performing aboard an Alaska Northern Glacier Cruise. Tell me about your recital. My recital has a heavy chamber music aspect, meaning that I will be performing alongside fellow Sunderman musicians. I will be performing various styles of music ranging from baroque and classical, to contemporary and jazz. What is your advice for future conservatory students? Explore yourself as an artist and practice until you feel everything but unprepared. Katherine Lentz '20 is as a Psychology and Public Policy double major. She acts as the Editor of the Arts and Entertainment section of The Gettysburgian, as well as the Vice President of Gettysburg College's new club Phoenix Rising.